Beta's G6, G10, G16, G25 gas meter suits for places of factory and restaurant that require large quantity of gas. The industry gas meter, with soft shape lines and compact structure, is accurate to measure, Strong in corrosion resistance and long service life in usage. 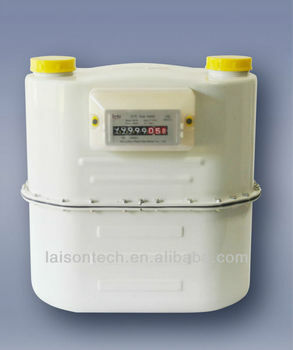 The meter is applicable for the metering of artificial coal gas, natural gas, liquefied petroleum gas and methane gas.